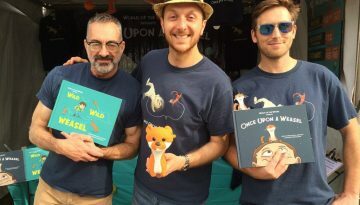 Read along with ONCE UPON A WEASEL on Shira’s Story Corner on YouTube, plus get 10% off any order on our website! 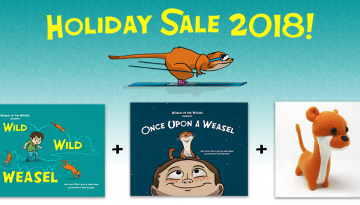 We’re offering two different sales on books and plush toys this holiday season! Get a jump on gift buying for the kids on your list. 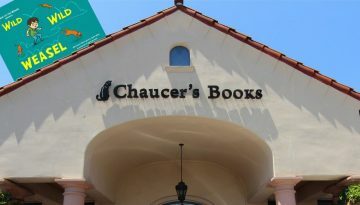 Wild Wild Weasel co-authors will be reading and signing at Chaucer’s Bookstore in Santa Barbara on Sunday August 19th. 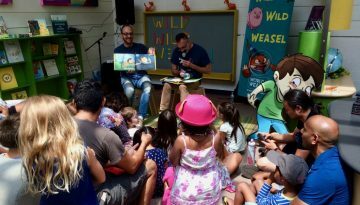 Thank you to everyone who came to meet us this past weekend at Kidspace Children’s Museum in Pasadena! Check out some of our great pics from the event. 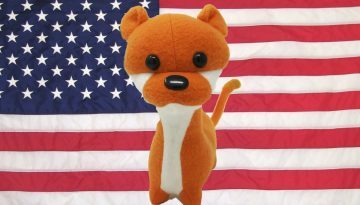 We Want YOU to Have a Plush Weasel on Sale! Have you met our adorable plush weasel? He’s hand-made in the USA and ready for you to take him home…and he’s on sale now! 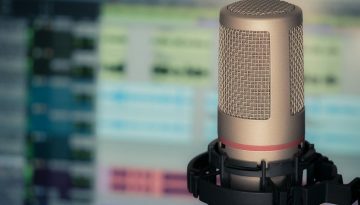 Hear co-authors Salvo Lavis and James Munn on WBEV’s “Idea Exchange” radio program talk about the creative process behind Wild Wild Weasel. 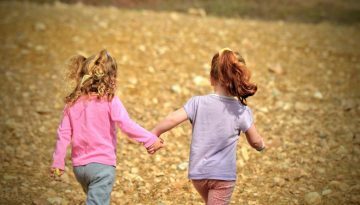 Culture site CriticalBlast (run by a former teacher) recognizes how elementary school age kids have much to gain from Wild Wild Weasel: This book could be used at home or in a classroom to discuss making friends, inclusiveness, or acceptance. 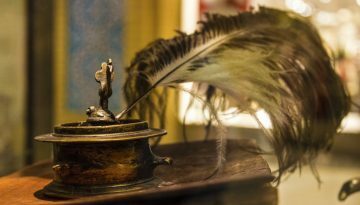 Amy Lignor at Feathered Quill book reviews weighs in on Wild Wild Weasel: This definitely represents the excitement that only books can provide to a young imagination, and is a series that should end up on your child’s bookshelf! 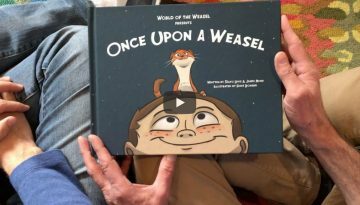 World of the Weasel creators and co-authors Salvo Lavis and James Munn just had the pleasure of being interviewed by Rodger Nichols, host of the Cover to Cover Book Beat radio show and podcast. Have a listen! 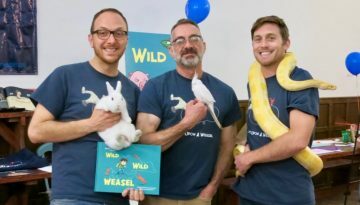 Thanks to everyone who came to our Wild Wild Weasel launch party at Miracle Mile Toy Hall! Check out some great pictures from the event.